I am currently embarking on the treacherous task of "branding myself"...I figured I would keep you all posted on the progress. My class requires that we have our "business cards completed" by tomorrow...but there is no way that in one week I could put the delicate thought and time into this big of a project...so for tomorrow will be the "in progress" brand. This is the same project I showed sketches for last week, this is the color study that I have done for it. What do you think? fitting? 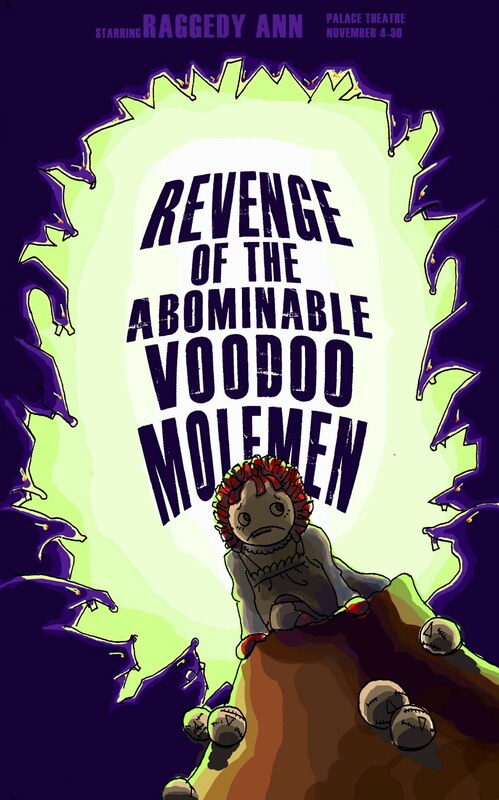 This is some prelim work for a project that I am currently working on, a B-Movie Poster for the show entitled "Revenge of the Abominable Voodoo Molemen". They're not completely done yet, there are a few places that I either neglected for the moment or forgot to transfer to the clean copy. 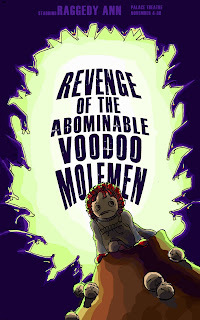 Asides from that, Any suggestions or favorites?